- Enhanced Super Dynamic*1 and ABS (Adaptive Black Stretch) technologies deliver 133 dB wider dynamic range compared to conventional cameras. - Multi process NR & 3D-DNR ensures noise reduction in various conditions. - New camera attachment bracket allows an easy camera installation toward all four directions. - ABF (Auto Back Focus) ensures easy installation. - Face Super Dynamic technology ensures clear face image. 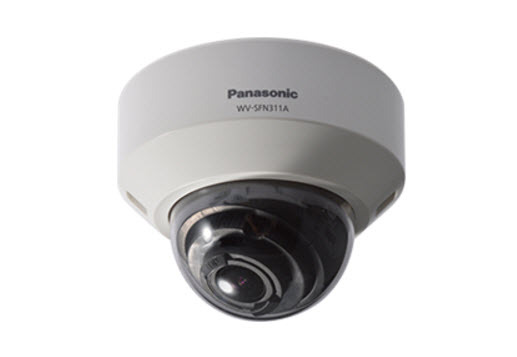 - Newly developed dome cover provides clearer images above the horizontal. Thereby, it expands the tilting range of the lens. - Can be added new intelligent extension software (Optional) in addition to built-in VMD (Video Motion Detection), alarm function. - Fog compensation function equipped as standard. - Super Chroma Compensation function realizes a better color reproducibility even in low illumination.